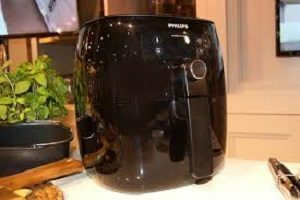 Philips air fryer review | Do You Really Need It? | This Will Help You Decide! I am not a regular product reviewer. 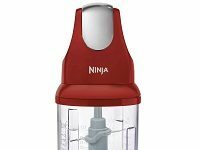 I use many types of kitchen appliance for my regular cooking. Here I will share my practical experiences with you. 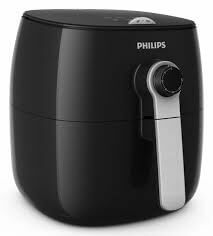 I read many articles about Philips air fryer review. 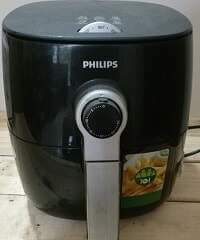 I want to share pros and corns about air fryer from my personal experiences with other reviewer’s thought. 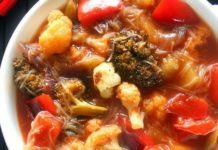 “People who love to eat are always the best people,” said the American TV chef and great with Julia Child and that’s true, when you’re cooking a delicious meal it’s easy to feel good about life. There are several kinds of kitchen appliance available in the whole world. All of them are unique from each other with their the different price, size, brand and working process. What is the air fryer? Is cooking with Air Fryer healthy? 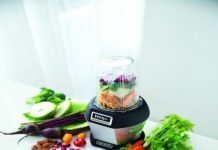 It is a cooking machine for a healthy alternative to deep fried cooking. We can fry, bake and grill with this product. It works with hot air. Different size and dimensions of Air fryer available are available in the market. Foods that are fried in the air fryer are healthier than deep-fried foods because they require less oil to produce a similar taste and texture. We need a high amount of oil for deep fried food, but in Air-fryer it requires just a tablespoon of oil. Deep-fried foods are higher in fat and calories. So they are helping to weight gain. 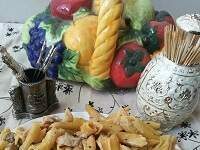 Air Fried Food can decrease the formation of harmful compounds. 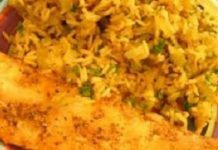 Deep fried food associated with certain types of cancer. So that using an Air Fryer we can reduce the risk of cancer. Let’s go we start to know how to use an Air Fryer. At first, we’ll make some French Fries using the Air Fryer. At first, we have to prepare all the potatoes to fry. 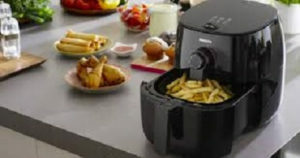 Air Fryer works with circulating hot air that contains fine oil droplets around the food to produce a crunchy, crispy fry. First, plug in the unit. Then the power on indicator lights up. Preheat Air Fryer to 200 degrees c. Add in 1 tbsp of olive oil to the potatoes. Pull the pan out. Put the potatoes in, NB: don’t fill past the maximum line. Also, the more space available there is in the pan, the crispier our food will be. Slide the pan back. The pan is very hot so being careful and it’s best to hold the handle. Now set the timer to cook for 12-15 minutes. Shake the basket a few times during cooking. After cooking, press the basket release button and lift the basket out. Add some salt with them while they’re hot. We can use this unit to reheat food. For this, we need to set the temperature to 180 degrees c and the timer for up to 10 minutes according to needs. For cleaning, we need to disconnect the Air Fryer from the current circuit and let it cool down. Then wipe the outside with a damp cloth. Wash the whole pan, tray, and basket with hot water and dishwashing liquid. 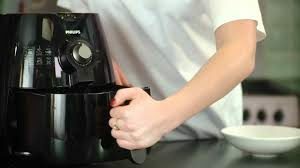 We know all the Air Fryer’s removable parts are dishwasher safe, so we can be placed them in a dishwasher if we would not prefer to wash them by hand physically. After that, we have to clean in the inside of the Air Fryer with hot water. We also use a cloth or sponge for wipe water. There may be any food stuck in the heating area above the food basket. We have to clean it off with a brush. 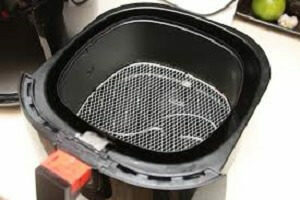 Before setting this parts to the Air Fryer we have to sure that the pan, tray, and basket are completely dry. The parts of Air Fryer are made off with a non-stick coat. So, we do not use utensils things to remove stuck food. We have to use always a non-abrasive sponge to remove any foods stuck to the basket or the drip pan. If the food has dried onto the pan and basket, then soak them in hot water and soap. Then this will soften the food and make it easy to remove. If we’re cooking consecutively then we can wait until the final batch has been completed before cleaning your air fryer. So now call a mechanic. They will be able to set up a repair or direct us to a qualified repair service. When our Air Fryer has been cleaned, we have to make sure that we store it safely. Wait at least thirty minutes for it to cool down and then putting it away. If we compare air fryer with an electric oven, it takes less time than an electric oven. You can cook a small size pizza within 7-8 minutes. Normally an electric oven needs to keep in a fixed place. It is not easy to move an electric oven from one place to another place. Contrary, you can easily move an air fryer from one place to another and store it in a safe place after use. 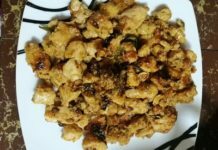 You can fry all foods just with 1 tablespoon of oil. 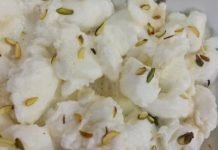 Some food you can cook without any oil. By using less oil it translates into a lower amount of fat of food. 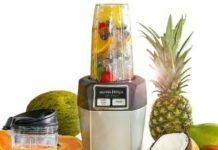 It is a very good appliance for healthy food lover friends. All the parts of air fryer are removable and dish washer free. So you can easily clean it. The main base unit can be wiped with a tissue or damp cloth. Use of an air fryer is very safe. Even a little mature child can use it easily. There is no risk of oil burn or heat burn. Different types of food can be cooked by an air fryer in different ways. You can bake, fry, roast, and grill by using air fryer. I have read many advantages and disadvantages of air fryer but nobody mentioned one of the most disadvantages of air fryer before. I faced this disadvantage on my first day of use of my air fryer. I was very excited after seeing my Philips air fryer. After checking all functions I kept it in my lap and going to place it on a shelf. When I was about to keep it in the shelf the main handle came out and fell to the floor. Then I found the handle broke. I can’t imagine what I should do. I was shocked for a few minutes. Then I took the handle in a machine shop and repaired it. I realized that its’ handle locking system is not very safe. It is on very practical disadvantage that I faced while using my air fryer. If you want to cook food for 6-8 persons using an air fryer, you need to cook several times. Air fryer is perfect for 2-4 person family member. It is not suitable for a family with more members or for a party. The fired food of the air fryer is less juicy than the fried food of the deep fryer. My kids told me the air fryer French fry is healthy but not tasty as much as deep-fried French fries. Using the air fryer at several times will end up with a larger amount of electric bill. Foods with different smells may leave a lingering order on our air fryer. 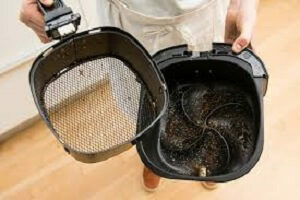 How to solve it: The best way to reduce odors from the Fryer is immediately clean up after done cooking. If the odor is still present then soak the pan and the basket in dishwasher soap for 30-60 minutes and clean it again. If it doesn’t work again, then try cutting a lemon in half and rubbing it over the pan and the basket. We should contact customer service and see if you qualify for a warranty replacement. So, try to remove some of the food and cooking your meal in two times. Just unplug the unit, let it cool, and clean out the grease. Try cooking a small amount of food in the basket at a time. This causes for better circulation and makes sure the heat is distributed evenly over our food. Never use a damaged or frayed cord. It can cause a serious accident or even death. 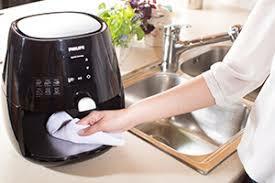 Make sure the cords are dry, clean and damage-free before using our Air Fryer. We have to make sure that the unit is clean and free of any debris. If we use it after a long time from last use then check inside carefully. Some dust may have there. The Air Fryer is placed upright on a hard level surface before we start cooking. Make sure the Air Fryer is not placed close to a wall or another appliance. Air fryers need at least 4 inches of free space around it. Finally, if we find any damaged components, contact the manufacturer and get them replaced. At first, we have to read the user’s manual before set up and cook with our Air Fryer. We have to always follow the manual for cooking food. 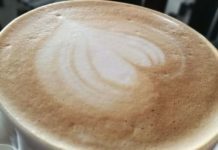 We don’t have to add large amounts of liquid or oil. 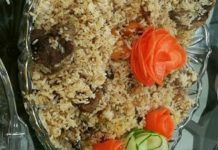 It is prohibited to cook any food not recommended by the manufacturer, and always follow the recipe very carefully. Every time clean the air fryer after use. All of the components should be washed thoroughly, without abrasive tools. Before using the Air Fryer we have to make sure the cords, removable parts, and housing are all in fine condition. Always store the air fryer in an upright, stable, and cool place. Hot Air Fryers are very easy to use, clean, and maintain. We need just a quick scrub, a little care, and proper storage. Then they’ll continue providing us with a convenient, healthy, and hassle-free meals for as long as we need them. Can we put aluminum foil in the air fryer? Answer: Yes, we can use baking paper or aluminum foil paper in our Philips Air Fryer. But we should never cover the basket bottom completely. It causes an accident. Can you put a glass bowl in an air fryer? 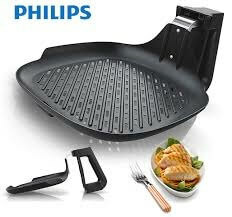 Answer: The dish or mold those are ovenproof and made of glass, ceramic, metal or silicone can use in Air Fryer. 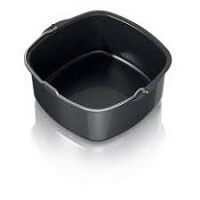 But never place the baking dish directly in the pan because it eliminates the flow of air in the pan. Only the top of the food would be heated and always place the baking dish in the basket. How long do we cook frozen fries in the air fryer? Answer: It actually depends on food. If a bag of frozen French fries takes time to cook in the oven at 450ºF for 18 minutes then, in Air fryer it takes at 400ºF and starts checking them at 15 minutes, remembering to shake the basket once or twice during the cooking process to help the fries brown evenly. Here are the 7 best Air Fryer name, price and average rating according to . 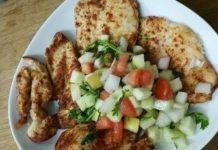 Now we know Air Fried food is healthier than Oil fried food. But still, fried foods are harmful to all. It associated with many negative health effects including heart attack, high blood pressure, diabetes and some types of cancer. So, eating fried foods on a regular basis is a too bad habit. So, we have to avoid fried food as much as possible. 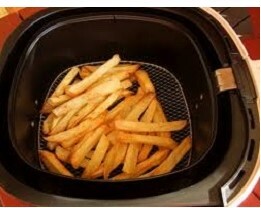 I hope you all found this article of Philips air fryer review helpful. Now you can take decision easily whether you will buy an air fryer or not.